The 2019 National Bike Challenge is a nationwide event that unites thousands of new and existing bicyclists across the country in friendly competition designed to celebrate and encourage biking. We want all existing riders and new riders to show their support for a bike-friendly USA and join the Challenge. Let's create a happier, healthier world! Let's get more people riding and smiling! From May 1st - September 30th, registered individuals and social teams can compete for free throughout the challenge for top spots on the NBC leaderboards. We're also running two, month-long workplace challenges in May and September where businesses can compete for top spots on the business and industry leaderboards. Organizations compete with other organizations in the same size category. The National Bike Challenge runs May through September. We've also got two month-long 'workplace vs workplace challenges' - one in May and the other in September. Read more about workplaces here. Individuals, teams of friends/clubs, States, etc will compete every month and through the whole 5-month riding season on the various leaderboards. Interested in hearing about the improvements we've made from last year? Read about changes to team size etc here. Check out the leaderboards we will have available this year. We’re going to have some more great prizes for you this year. The full list of prizes you can win will be announced when the Challenge starts in May. Register or log in to connect an app. You can also log your rides manually. This is quick to do on your profile. You can now generate and view graphs of your riding over time. You can now read other peoples stories and share your own - see stories here. Companies now compete on industry leaderboards. Will your company win in your industry either in your state or nationally or globally?! You can now have multiple goals at the same time, e.g. "Ride 2,000 miles in 2019" and "Ride 333 miles in May"
Love to Ride and the League of American Bicyclists are joining forces to bring you the National Bike Challenge. Read more about the organizations behind the Challenge here. We know that riding a bike has tremendous benefits and that the best way to realize those benefits is to get on a bike. So we provide the incentives, tools and support to help you and your friends, colleagues, and family to start riding, or to ride more often, and experience the joys and benefits of bicycling firsthand. 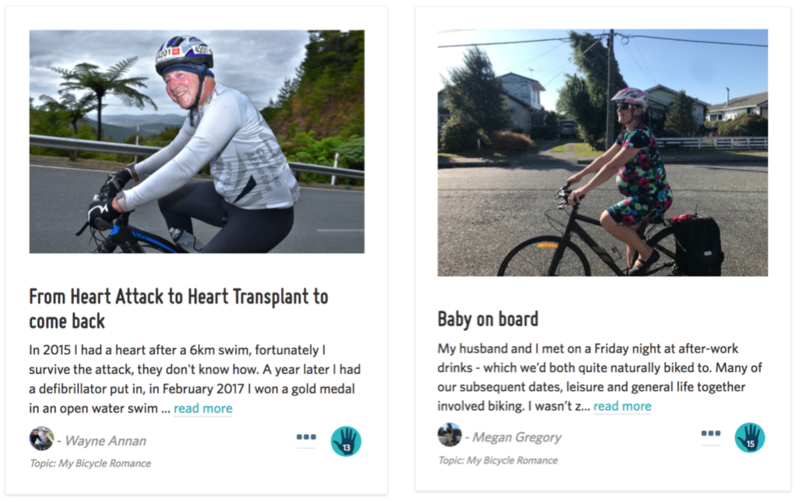 Love to Ride offers a single platform where you can keep track of your riding, find answers and resources to help you ride more confidently, win prizes for riding, and to encourage your friends and colleagues to ride (and win prizes for that too). Help us spread the love of bicycling by combining our platform and programs with your enthusiasm for biking. You can provide feedback, ideas and suggestions to help us improve the Challenge here.